Green is dazzling, refreshing, and playful. From bright lime and emerald greens to dark olive and pine greens, you can definitely find a hue and tone that works for you. Green is mostly associated with nature. It can symbolise growth, harmony, freshness and fertility. It’s also the most restful colour for the human eye. With that said, it’s not the easiest colour to style. That’s why we’re sharing with you occasions where our favourite stars showed how to incorporate this tricky shade to your everyday wardrobe. The social media influencer paired the colour with denim. You can also wear your favourite pair of jeans – whether they are ripped, cropped or flared, and throw on a vibrant green for an effortless look. You can’t go wrong with denim. dinner date with the @essence_cosmetics team. 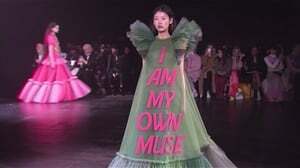 #essencesouthafrica ?? You can brighten up your look by also incorporating prints or patterns. These could be stripes, checks, dots or florals. TV and radio personality, LootLove, had fun with the colour, by not only choosing pieces with floral and bird prints, she also chose different hues of green. As you can see, the options are endless. 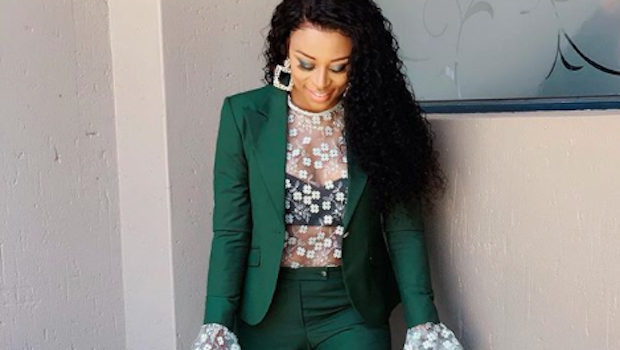 The best way to stand out in the crowd with green is to wear this magical shade from head to toe, which is what DJ Zinhle did with an emerald green suit. You can also stand out in the crowd with a dress or a tunic, or shorts worn with a tee. Cropped trousers and a light chiffon blouse also look perfect in a single colour. Green ??! Hey fam @thesanhair ?? Social media influencers and besties, Siya and Zoe look ravishing in green. The best thing about the green trend, is that it can flatter literally everyone, regardless of skin tone, hair and body size, so do give it a try.